Kusanagi sends out her remote-controlled weapons and rains down attacks on the enemies, inflicting Lightning damage. 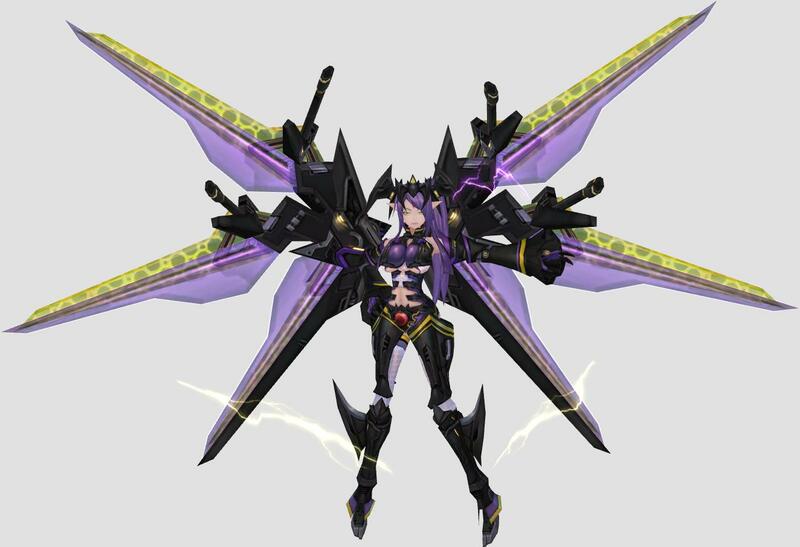 Kusanagi extends her wings wide and radiates electricity, increasing her team members' ability to inflict damage. Kusanagi sends out her remote-controlled weapons to form a high-voltage electromagnetic field, dealing Lightning Damage to targets and enemies near it.